Sit back, relax, and enjoy your favourite movie on our top of the line home theatre lounge. 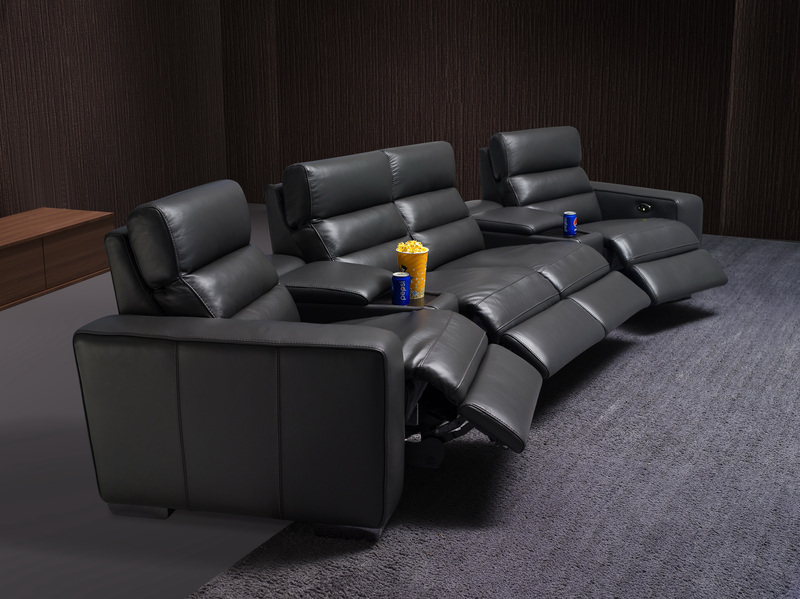 The Warren home theatre lounge offers you the best in comfort, styling, and smooth reclining mechanism available on the market today. 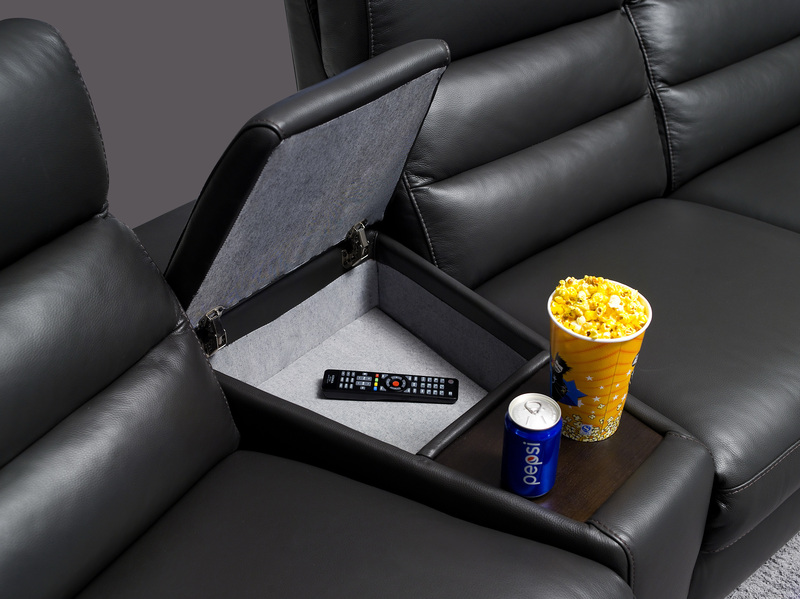 The Warren Theatre Suit’s built-in storage allows for you to hide unwanted items, such as remote controls and mobile phones, so you can enjoy the movie. 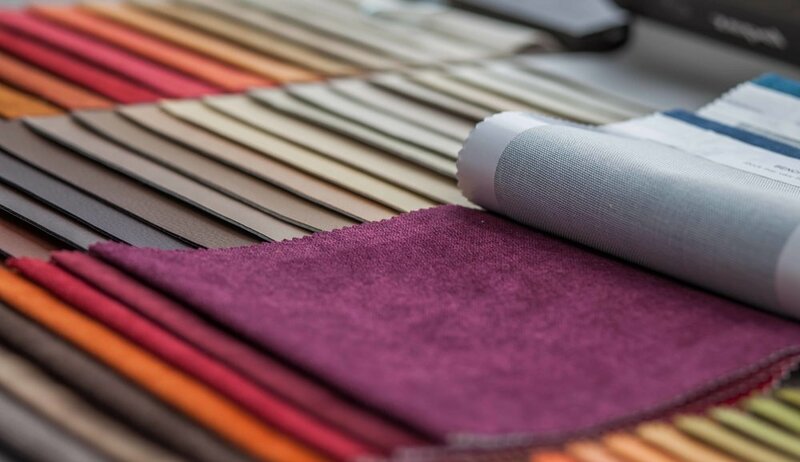 The ultra-soft luxurious genuine leather offers maximum comfort, either reclined or sitting upright.